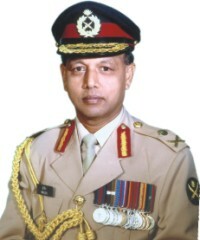 Judging by the way a horde of people have pounced on General Moeen U. Ahmed, you would think the former chief of staff has committed a grievous wrong, has indeed placed the future of the country at risk through the active role he played in national politics for close to two years until the general elections of last year. Now, of course, a good number of blunders were made on the general's watch for which reason there is every cause for him to be condemned. You think here of the morally and legally untenable manner in which the teachers and students of Dhaka and Rajshahi universities were treated in August 2007 and the months that followed. Taking academics on remand and putting them through various degrees of torture is behaviour you do not accept from anyone, no matter where he or she might be placed in life. And arresting students and having them go through excruciating physical pain is medievalism at its worst. And that is the truth where taking General Moeen and his friends to task over the role they played in an emergency-governed Bangladesh is concerned. The atrocious way in which politicians were taken into custody and swiftly sent over to remand is a dark chapter in Bangladesh's history, one that will forever be recalled by the people of this country. It is inconceivable that men like Abdul Jalil and Moudud Ahmed can be treated with absolute contempt and threatened with everything that makes people cringe in fear. But they were indeed forced into that pass, to our everlasting shame. The shadowy men who tried to convince the nation that everything that had gone wrong with the country had to do with politicians were only giving us half the picture. The other half had simply been spirited away. But let us move on. History will judge Moeen and everyone else associated with the Fakhruddin Ahmed caretaker government in full measure. There is always this wonderful thing about history --- it judges, and it judges dispassionately, sometimes harshly. That being the truth we have known through the generations or through our understanding of the ways in which men have conducted themselves in the varied phases of life and time, we realise too the growing possibility of history being, on balance, kindly disposed to Moeen. There are good enough reasons why that should be. For starters, General Moeen brought the country back from the precipice when he had the Iajuddin caretaker government dismantled and replaced by a new administration. Had Iajuddin not gone, a blatantly rigged election would have been organised. Or, worse, what could have been an election would have been supplanted by lengthening shadows of violence given that a major political party had already decided to pull out of the elections Iajuddin and his cohorts had organised for January 22, 2007. And then there is more. It does not matter how indignant politicians happen to be with Moeen today, but what does matter is that Bangladesh's political classes, after all the years in which they had ignored the national interest, woke up to a rude and unexpected shock in emergency times. That political leaders are not always hauled off to prison for political reasons is a truism now firmly ensconced in the imagination. That they can be carted off to prison on grounds of venality is what Moeen and the caretakers have demonstrated before the country. It was the army-backed caretaker government that transformed the nature of the Anti-Corruption Commission through investing it with authority it ought to have had from the beginning. The Election Commission, having gone through a farce of a life prior to the emergency, stood reinvented because of Moeen U. Ahmed. Corrupt men were driven out of the Public Service Commission and replaced with good, purposeful individuals. In the brief space of time that was Moeen's, criminality was on the run and honest men and women truly entertained the thought that decency was on its way back into their lives. The upshot of the tale must not be missed. As in any other phase in politics, the Moeen era lived in its light and wallowed in its shadow. It made mistakes, those it did not have to. It looked the other way when men of uncertain ambition took it upon themselves to forge political parties in the belief that they were the wave of the future. It treated, to our dismay and derision, the two leading politicians of the country with contempt. That was the shadow aspect of the tale. The light was in the hope the Moeen-influenced phase rekindled in all of us. That politics had a purpose, that governance need not dwindle into disappointment, that the principles for which all of us had waged war in 1971 had not all been lost --- these are sparks of optimism that General Moeen U. Ahmed and his times ignited in us. You can hound the general all you want, you can harass him at home and abroad, you can badmouth him. But you cannot paper over the bigger truths that made us happy, renewed our self-esteem and made us sure of ourselves, in that brief moment of expectation that is now receding into a mist that once was a dream. That is the tribute time will pay Moeen U. Ahmed.